Taking the daunting and at times hair-raising bus ride from Lima to Huaraz will reward you with stunning views as you climb from the desert Peruvian coastline up into the Cordillera Blanca mountain range. 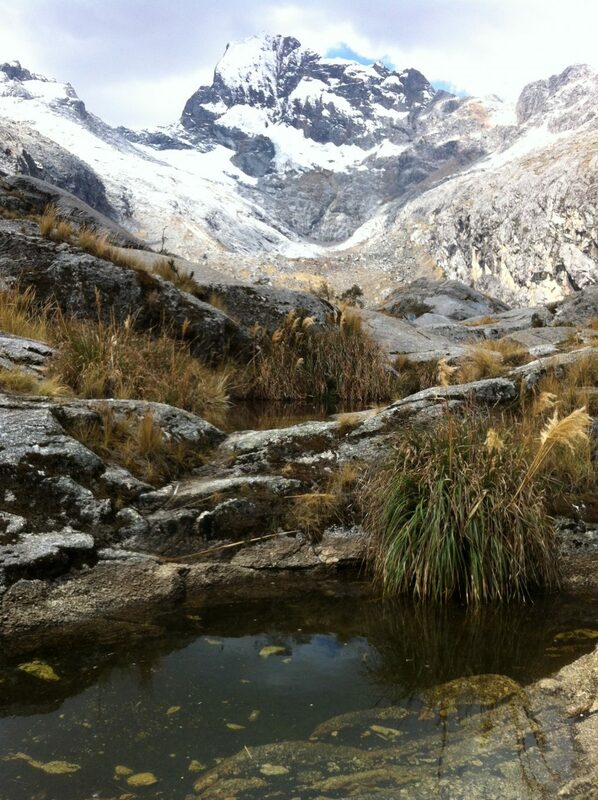 Set at 10,013ft, Huaraz is the capital of the Ancash Region of Peru, and is a hot spot for adventure travelers looking to explore the Cordillera Blancas. 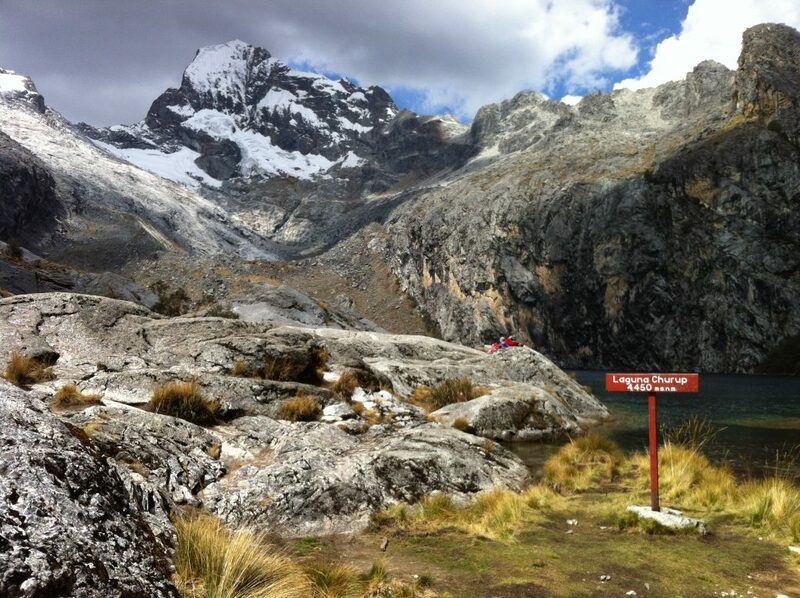 There are virtually limitless options for day hikes, backpacking trips, and mountaineering around Huaraz. 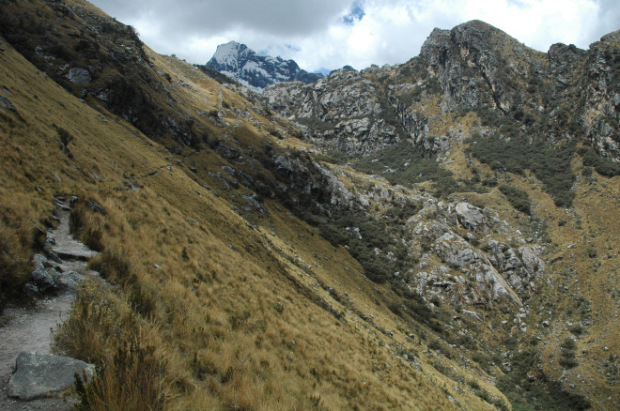 If you are planning a week or more itinerary in Peru adding in a stop to the Cardillera Blancas is perfect for anyone looking for some amazing hiking. Since I had just flown into Lima 3 days prior, and my plan was to set off on the Santa Cruz Trek in two days, I had to do all that I could to acclimatize. This meant some day hikes, and lots of water, calories and rest. The city of Huaraz itself won’t stun you as a striking Andean village because of an earthquake that nearly decimated the city in 1970. One thing Huaraz has going for it is it’s personality and liveliness. You will find many high quality restaurants, bars, cafes and bakeries all within walking distance of the main plaza and the main commercial district will almost always be bustling with people. From almost anywhere in the city, especially as you climb up the hillside or from rooftops, expansive panoramas of the impressive Cordillera Blancas can be had. I found the city interesting to wander around, from the central plaza and market, to the various side streets and cafes. Luck had it, that while I was there multiple protests/festivals were being staged, resulting in some streets completely blocked by riot police. Despite the bits of chaos, generally I felt safe, and did my best to avoid the obvious conflicts occurring in some areas of the city (most protesters seemed content lighting off fireworks, and luckily for me the unrest almost always settled down at night). On my second day in Huaraz, I decided to head up to Laguna Churup, an azure glacial lake at the foot of the snow-capped mountain by the same name. The hike normally takes 3 to 5 hours and gives you excellent views of the valley below, as well as a glimpse of local villages and dwellings high on the flanks of the Cordillera Blancas. Don’t book with an agency, you can do this on your own. Take a combi (best at 7am) from Huaraz up to Pitek. The driver should charge about 40 soles for a full combi, or about 10 soles per person. It is much easier to find a ride to take you to Llupa for around 5 soles, but it will be crowded. It is worth avoiding the trail from Llupa. Although it is possible to start from here, it is not a riveting hike, and chances are you’ll need to return down the same trail. Before you agree to use the driver, just ask to go higher to Pitek and see what he says and when he will leave. From Pitek, head up the well-worn path on the right. You will pass by some houses and locals as you continue up the trail. Make sure to bring 5 Soles per person to pay for park entrance fee at the guard station–if you are planning to do the Santa Cruz Trek, buy the “full” ticket for 65 Soles because it’s valid for one week (or a month according to the ranger). From here, hike 1 hour or so up the trail until you reach the ultimate waterfall. The trail splits, choose the left trail for a route with cables (possibly more dangerous) to climb a rock face, or the right for a route that follows the waterfall without cables. After this, you arrive at Laguna Churup. Enjoy. On your return, you will descend all the way back down to Pitek where you can either continue on the trail to Llupa or try to find a ride from Pitek. There is a bus that comes regularly on a schedule (remember you are in South America) that will take you into Huaraz. I waited with several other hikers and locals, but ultimately ended up walking down to Llupa where I found a combi to drive me the rest of the way. *Be sure to start early, because clouds will likely come in around noon and it’s more fun to enjoy the laguna in the sun.